Eels are fishes that look like snakes and live in dark, murky water. 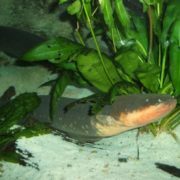 There are hundreds of different species of eel. Many species of eel live in warm, salty seas and oceans. Morays and congers are two well-known types of marine eel. 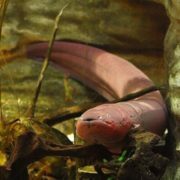 Freshwater eels live in rivers, lakes, and ponds on almost every continent. An eel has a pointed head with a wide mouth and sharp teeth. Deep-sea eels are often black or gray and those who live in tropical reefs may have bright colors. 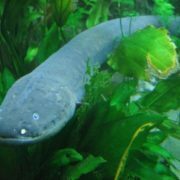 Electric eels live in South American waters. Many species of eel come out at night to hunt and during the day they hide. Eels eat shrimps, snails, fishes, mussels, and worms. 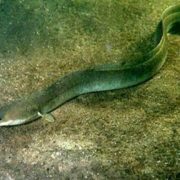 Freshwater eels breathe through gills and also can absorb oxygen through their skin. 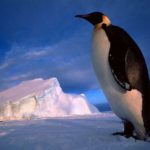 Most species migrate, or travel, to a particular area to mate and lay eggs. Larvae, which are typically flat and transparent, hatch from eggs in the ocean. The spiny eel grows to more than 1 m long and lives on the bottom of the north Atlantic Ocean. 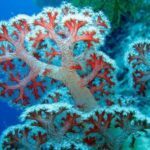 It eats sea anemones and other creatures living on the sea floor. 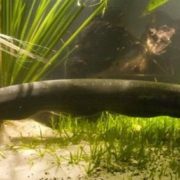 Swamp eels are very slim fish with elongated bodies. 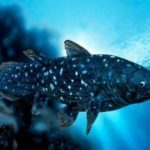 Their gill system is linked to other organs to help them breathe air. 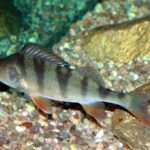 They live in tropical and subtropical habitats. 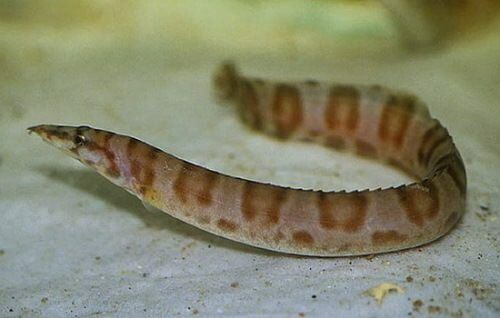 The rice eel lives in Southeast Asia, Indonesia, and the Philippines. During the extensive dry season, these fish burrow into the mud and can remain alive until the rainy season starts. 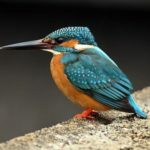 The males guard their nests and eggs as they float freely in the water. The zebra moray is an attractive species with a brown-yellowish body and white stripes. 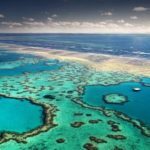 It occurs in the Indian and Pacific Oceans. The eels live up to 15 years. 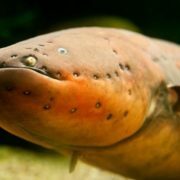 Freshwater eels are appreciated as a food in France, Belgium, The Netherlands, and Great Britain.